Nothing important stands or falls on the question of whether or not a Gospel was written in the 50s, 60s or 80s. There’s no theologically important reason why I must be motivated to say that any of the Gospels were written early. Plenty of conservative Christians think that John’s Gospel was written in the 90s, for example. Any concerns that a Gospel written in the 70s or 80s is too late to contain reliable testimony is just mistaken. If we were talking about one person who saw something forgettable writing from his own memory forty or fifty years later (e.g. “now let me think, what did that graffiti that I saw on that day say…”), then sure, this sort of timeframe might be a problem. But in the first place nobody thinks that’s how the Gospels were composed, and secondly that’s (mostly) not the sort of thing the Gospels record. The Gospels were compiled from sources, traditions of existing testimony brought together into four records, three of which in particular (Matthew, Mark and Luke) have overlapping sources. Those traditions pre-date the final written Gospels by decades and consist of eyewitness testimony.1 And while my recollection of the specific wording of graffiti forty years ago – something I wasn’t particularly interested in at the time – is likely to be pretty bad, my recollection of important events that were striking to me at the time and have been important to me ever since (for example, who was the woman in white at my wedding, and what did she say when the minister asked her if she takes me as her husband?) is likely to be pretty good even decades later. So nothing important stands or falls on the question of whether or not a Gospel was written in the 50s, 60s or 80s. Still, it’s nice – fun in a wicked sort of way actually – to be able to show that a Gospel was written early. Critics of the reliability of the Gospels like to think of their authorship being as late as possible in order to increase the distance between the account and the alleged event, strengthening the narrative according to which the Gospels consist of legends that sprang up during the intervening decades. There’s a certain pleasure in pointing out to them that not only do the dates generally accepted in liberal New Testament scholarship today not present any interesting problems in regard to reliability, but actually the dates of authorship may be a whole lot earlier and the insistence on late dating is based on very little of substance. This is what made John A. T. Robinson’s book Re-dating the New Testament so scandalous. Robinson was hardly an outspoken conservative, and he wrote during a time when liberal New Testament criticism ruled the roost in academia. Robinson contended that the proverbial emperor had no clothes and that the widely accepted view that the New Testament books were composed late was a theory without foundations. So, there’s the backdrop against which I write this. I don’t have to say that the Gospels were written early. There’s widespread consensus that Mark was written early, but not such consensus for the others. But here’s a thought: St Paul, while he was writing his Epistles, appears to have known what was written in the Gospel of Luke. I say “appears to have known” because I’m open to alternative explanations, but on the face of it, this is how it looks. If you think I’m wrong, show me why. Paul claims to be quoting from scripture. But which parts of scripture is he quoting from? The first one is easy. “You shall not muzzle an ox while it is treading out the grain” comes from the Torah, in Deuteronomy 25:4. What about the second quote, “the labourer deserves to be paid?” or more literally, “the worker deserves his wages?” (the NRSV from which I quoted often alters the sentence to remove reference to gender). Is it anywhere in the Hebrew Scripture? What about the Septuagint? Nope, nowhere. Was there any Jewish writing at the time that contained this saying and which might have been regarded as scripture? No. So what was he quoting from when he claimed that this is something contained in scripture? And there it is, the elusive phrase. This is from the Gospel of Luke (10:7), where Jesus is giving his disciples instructions before sending them out. So how did Paul know about this saying being in Scripture? Remember that St Paul is believed to have died in AD 67. One easy answer is to say that the Gospel of Luke copied from St Paul. That would explain why the saying appears in both books, but it doesn’t at all explain why Paul would quote this saying as something contained in scripture. You might be tempted to say that Paul’s letter was tampered with and this quotation was smuggled in by Christians after the Gospel of Luke was written. But this would have been a wholly unmotivated thing to do. Christians had no reason to say that Luke’s Gospel had been written early if it had actually been written in the 70s or later. They were not facing down critics who alleged that the Gospels were written late and are therefore unreliable, and in any event they could have simply dismissed the argument on the grounds that a Gospel written down in the 80s is not too late. There is also no evidence of a textual variant in 1 Timothy 5:17–18 showing that this quotation has ever been lacking. All the evidence shows that this quotation has always been present in Paul’s letter. You might want to say that perhaps Paul was referring to the testimonies about Jesus that were circulating before the Gospel of Luke was written. This isn’t impossible and there is little doubt that Paul knew of such testimony, but it is very unlikely that this is what he means here, given that Paul said that this saying was contained in scripture, γραφὴ (graphe) in Greek, a term that specifically means something written. This would be unprecedented for Paul, who uses γραφὴ numerous times, and always to refer to something in writing, as he did in his next letter to Timothy and in other places (Romans 4:3; 9:17; 10:11; 11:2; Galatians 3:8, 22; 4:30). Perhaps you’re so certain that Luke was written later that Paul’s quotation forces you to say that 1 Timothy must have been written late, and therefore not by Paul. But if this is the move you make, the tail is wagging the dog. Your position that Luke was written late is controlling how you read the evidence that is materially relevant to the question of when Luke was written. Did Paul write 1 Timothy? “The majority say this” is useful knowledge but it is not a serious argument. Here is where you might be tempted to make the sort of gesture I see so often on the topic of the pastoral epistles (1 Timothy, 2 Timothy and Titus), and say “but the majority of scholars say” that they were not written by Paul or during his lifetime, they were written later. Here is where I want to vent a bit of frustration and some New Testament scholars. I’ll try to be brief, but I must make a detour into the question of the authorship, as it is related to the issue of dating. “The majority say this” is useful knowledge but it is not a serious argument. In spite of the number of New Testament scholars who say that Paul did not write the pastoral epistles (1 Timothy, 2 Timothy, Titus), the more I look the more I think there is very little reason to doubt that he did write them. I’ll focus just on 1 Timothy as that’s where the salient quotation appears. 1 Timothy cannot, in my view, be treated as a letter that was stated to have been written by Paul on the understanding – an understanding the first readers were supposed to have – that really it was written in the tradition of Paul. In this view we have a student or disciple of Paul writing some years after his death to an audience who knew the letter wasn’t coming from Paul, but rather was consistent with Paul’s teaching, both to the church and to the writer. The contents of the letter really don’t allow us that option. Not only does the letter claim to have been written by Paul (“Paul, an apostle of Christ Jesus by the command of God our Saviour and of Christ Jesus our hope”), but it purports to have been written by Paul to Timothy, who was in fact Paul’s companion in the book of Acts (“to Timothy, my loyal child in the faith”). The writer refers to his own travels with Timothy, at one point travelling to Macedonia and urging Timothy to remain in Ephesus (1:3). The writer claims Paul’s past as a persecutor of the church prior to his conversion (1:12-13). If the author was not Paul, then they were not presenting themselves as a disciple writing in a manner consistent with Paul; they were fraudulently claiming to be Paul. The arguments against Pauline authorship of the pastoral epistles come down to these: They relate events that seem to fall outside of Paul’s life as related in the book of Acts, they have a markedly different writing style from Paul’s other letters, and, it is alleged, early Christian sources treat the pastoral epistles differently. I’ll try not to dwell on the issue too much, but I’ll discuss each of these. This objection, if it is supposed to be effective, must assume that if the author is Paul, then he must have written the pastoral epistles during the period of his life covered by the book of Acts. But why think this? Acts does not record the death of Paul so there is no obvious reason why he couldn’t have gone to Macedonia after his two-year period of house arrest in Acts 28:16ff. There are grounds for thinking that he was released (rather than dying during house arrest) and left Rome, both because of the reference to a fixed period of remaining in the house where he was and, say some, the use of the aorist in Acts 28:30. Early church testimony also affirms that Paul was released from house arrest in Rome (see Knight’s commentary for some discussion of this). This would mean that Paul’s imprisonment during the writing of the pastoral epistles was later in his life than the house arrest recorded in the book of Acts, and his trip to Macedonia would fall in between these imprisonments. It is possible that his trip to Macedonia occurred during the book of Acts but was not mentioned (as with other events, like Paul’s lashings as recorded in 2 Corinthians 11:34), but we need not maintain this. There is corroboration of this explanation in Paul’s description of his time in prison. In the “prison Epistles,” written during Paul’s first imprisonment in Rome, Paul was anticipating his release and to return to Philippi and Asia (Philippians 1:19, 25, 26; 2:24; Philemon 22). His imprisonment while writing the pastoral epistles, however, is difficult (2 Timothy 1:16-17) and he expects that he will soon die (4:6). If Paul’s expectations in the prison epistles were correct, then he was released, after which point, after which, at some point, he went to Macedonia and left Timothy in Ephesus, an event he recalls from his later imprisonment shortly before his death. So there is no serious problem for Paulin authorship on the grounds that they record events not mentioned in the book of Acts. The main argument to which people appeal for ruling Paul out as the author of the pastoral epistles is that the style of writing is very different from the other Pauline letters. This was an argument first advanced by Schleiermacher in the early nineteenth century. We are shown counts of how many times different words are used in the other letters that bear Paul’s name, and then we are shown that the pastoral epistles look different in terms of word choice. We are told that ideas are framed differently, the way ideas are connected to their justification looks different in the pastoral epistles, and so on. There is a possibility that the details of a composition are due to a colleague or ‘secretary’ who was given a rather free hand by Paul. Here again the effect is to ‘rescue’ [the pastoral epistles] for Paul at the cost of denying that he himself was responsible for their contents. They have his blessing but not his mind. Nevertheless, a faithful secretary would doubtless have attempted to keep as far as possible to the kind of things that Paul would have said. But the amanuensis theory does not imply that Paul was not responsible for the contents of these letters. Not, at least, in the sense in which a person is normally responsible for the content of a letter that they agree to have their name affixed to. And this broader sense of responsibility is not a high price to pay (if it is a price at all). 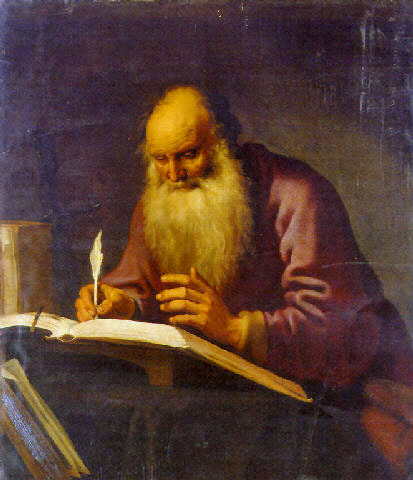 An amanuensis / secretary / colleague would explain why the pastoral epistles have a very different style from the other Pauline Epistles, as well as the fact that the letters so obviously claim to have been written by Paul and to relate events from Paul’s life as though they were the experiences of the author. Here is where we have to perhaps think a little more broadly about what it means to say “Paul was the author.” Suppose a boss asks his secretary to write a letter thanking employees for their hard work over the previous year. She writes the letter and shows it to him for review. “Not bad, I like it. Oh, could you change this sentence here, and also mention that thanks to their efforts, we’re expanding into Asia next year.” The boss might not have chosen and typed all the words, but still, nobody is lying if they say the letter is from the boss. The letter will not reflect the boss’s normal way of expressing himself, but it is his letter nonetheless. If you could see my private correspondence and compare it to my public blog posts, you’d see some major differences. What is more, the pastoral epistles not only have a different audience from Paul’s other letters, they have a different type of audience. The whole exercise of counting the number of occurrences of different words or analysing just how the writer orders his thoughts on the page is based on the – in my view wholly misguided – assumption that we should expect there to be no obvious difference between the way Paul writes a letter that is supposed to be presented to the whole gathered church (e.g. Romans or Ephesians) and a letter written to be read by an individual (namely, all of the pastoral epistles). That this marks a non-arbitrary difference between the pastoral epistles and the other Pauline epistles seems not to be even mentioned in the various critical analyses of how these letters are unique. If you could see my private correspondence and compare it to my public blog posts, you’d see some major differences. You have no trouble believing that, I am sure, so why think anything different of Paul when it comes to the difference of his letters for a church compared to his letters to individuals. If Paul – like me and like many people, I expect – wrote differently when writing to individuals from when he write letters to be presented to the wider church in terms of word choice and style, we have a good explanation for why Paul might structure his thoughts and speak differently in the pastoral epistles. These, as far as I can tell, are the main arguments against Pauline authorship of the pastoral epistles. This is as good as the arguments get. I have made it my business over the last couple of weeks to scour as many decent sources as possible (so not internet ramblings) and to ensure that I understood the case against Pauline authorship. So while I know that you can make a sweeping hand gesture and assure us that “most critical scholars” do not believe Paul wrote 1 Timothy, I know what their reasons are, and now you do too. There are not many reasons and they are not very good, in my view. I grow weary of seeing one after another writer on the subject making confident claims about what most scholars know, as though they were somehow offering an argument against Pauline authorship of these letters. There’s no compelling reason to reject the claim of 1 Timothy to have been written by Paul. If you want to maintain that Paul is not the author, you would need to come up with a new, better reason for saying so, although it is difficult to see why anyone would wish to do so (why would anybody have an interest in Paul not being the author?). So, here is where we are: At some point prior to his death (which is when people tend to write letters) in AD 67 or thereabouts, St Paul quoted from Luke’s Gospel and called it “scripture.” But pretty obviously, you can’t quote from a book unless the book exists. Consequently, the Gospel of Luke must have been written and had time to become recognised by the early Christian community as bearing witness to the life of Jesus prior to AD 67. So Luke’s Gospel was probably written in the 50s or 60s. If I’m wrong, tell me why. Your rejection letter is rejected! Posted on January 24, 2015 June 13, 2018 by GlennPosted in theology and biblical studiesTagged biblical criticism, dating the Gospels, Gospels, St Paul. Previous Previous post: What’s really wrong with Apollinarianism? A very interesting post. I too find the “most scholars agree” argument very weak and rather frustrating and yet it seems to be the main one trotted out every time dating the New Testament gospels and letters is discussed. I’d like to read more posts by you on this general topic. Which books, apart from Robinson, would you recommend on dating the NT? I think what is really interesting if you are right is that Paul recognised Luke as scripture. As Luke was Paul’s companion it makes sense. I put Mark at 60-65 AD on the basis of patristic testimony and identify patristic “Mathew” with Q which I date to the same period. Since I put Paul’s death in 65 and date Luke after Mark and Q it would require a very tight schedule of Q, Mark, Luke and Timothy coming out in quick succession to reconcile your theory with mine. But maybe my theories are wrong. Yours is certainly persuasive, unless someone can come up with another passage of scripture with something like that phrase. With him [Titus] we are sending the brother [unnamed] who is famous among all the churches for his preaching of the gospel. With him [Titus] we are sending the brother of whom the praise in the gospel (ευαγγελιον) is throughout all the churches. If Luke wrote his gospel early (early enough to be referenced in 1 Timothy and known that it was considered Scripture) then Luke would be well known among the churches for it. Worth a read: Redating Matthew, Mark and Luke: A Fresh Assault on the Synoptic Problem by John W. Wenham. Nice article. It made me wonder about a similar instance in scripture related to the book of Revelation. In Revelation 2:10, it reads, “Do not fear what you are about to suffer. Behold, the devil is about to throw some of you into prison, that you may be tested, and for ten days you will have tribulation. Be faithful unto death, and _I will give you the crown of life_. Then, in James 1:12 we find this: “Blessed is the man who endures trial, for when he has stood the test _he will receive the crown of life which God has promised to those who love him_. To your knowledge, has anyone explored the possibility that James was quoting the book of Revelation? There is always the possibility that Paul was referencing scripture that is lost. I believe a host of scripture has not withstood the perils of time, chance and man’s schemes. What scripture led to the referencing of the dispute between the archangel Michael and Satan over the disposition of Moses body, for instance? Just grist for the mill. Have a wonderful day. John, James is generally considered one of the earlier, if not the earliest letters. So borrowing from Revelation seems unlikely, even for early daters of Revelation (like me who holds to a pre-70 AD date). Kurt, Jude was probably quoting Enoch which was known and not considered Scripture. I don’t see that Jesus indicated that any Scripture was lost; though he did think it was interpreted incorrectly at times. I understand that James is considered very early. I am just curious where else it would be that suffering Christians were promised a crown of life to those who endure? @Giles you might be interested in looking at the work of James Crossley. He argues for a very early date for the Gospel of Mark (1st decade). Yes it does conflict with the date from Irenaeus (and he does address that conflict). The dating is partly based on how Mark interprets Jewish law compared to how it is interpreted in each decade, as well as other internal evidence) even if you disagree with his conclusions is an interesting read. Excellent post Glenn. Love it. Bethyada, the story of the Assumption of Moses is also testified to in the Jewish Testament of Moses, often dated by scholars as later than Jude of the closed canon. It doesn’t appear in the Book of Enoch, which is also quoted in Jude. My point is that scripture informs scripture, and just because a counsel of men in the 300 AD range began throwing out “graphe”, doesn’t meant the “graphe” they chose to throw out are not scripture. Much of the written scripture that informed our apostles and writers of the closed canon is lost. Acts alludes to Paul’s death by having Paul and others aware of its imminence. This seems bizarre if Luke wasn’t aware of it. He makes it part of the narrative plot, which has not even played itself out in real time on a pre-death dating. The suggestion here is that Luke is just chronicling ‘current events’ and waiting to see how they turn out, a type of writing of which I am not aware in the ancient world. It seems more plausible to think that Luke highlights this part of the story because hindsight made it significant. It’s like the fundamentalist evangelicals who argue the patriarchs wrote down unfulfilled histories on tablets narrating their personal lives, just waiting for each successive generation to write down the next part of the story. Which is absurd. Also, the evidence for the gospel postdating the 70ce period (ignored by the author) is significant. E.g., Luke rewording the vaguer language of Mark’s ‘little apocalypse’ to reflect the Roman army beleaguering Jerusalem and the Judeans being dispersed (exactly what happened, of course). The author seems to intentionally summarize critical views simplistically without engaging the ton of detailed argument supporting those views. It’s a blog post, sure, but why be so belittling to your opponents unless one is more interested in rhetoric? The author also pretends early dating has no apologetic value, as if it isn’t a way to undercut any arguments for legendary growth over decades, which he subsequently mentions, or a way to bring the gospels closer in proximity to living eyewitnesses (it is harder to guess how many would be alive in the post-70ce period; crucial ones, Peter, James, etc., will have been dead). The fact that some apologists feel they don’t need early dates doesn’t negate their apologetic value. All that would prove is that apologists don’t put all their eggs in one basket. The shotgun approach. Leaves them with multiple options from which to derive the desired end (reliability of the gospels). This part of the author’s post is strange and disingenuous. Luke becoming cited as ‘scripture’ so quickly is undefended and seems totally implausible. For many years I was content to soothe my intellectual conscience with such expedients [i.e. alternative theories about why Acts ends as it does]; but in truth but in truth they altogether transgress against inward probability and all the psychological laws of historical composition. The more clearly we see that the trial of St Paul, and above all his appeal to Caesar, is the chief subject of the last quarter of Acts, the more hopeless does it appear that we can explain why the narrative breaks off as it does, otherwise than by assuming that the trial had actually not yet reached its close. It is no use to struggle against this conclusion. Adolf Harnack, The date of the Acts and the synoptic gospels, cited in John A. T. Robinson, Re-Dating the New Testament (London, SCM Press, 1976), 90. You are right that I intentionally summarised arguments but I do not believe there is actually any better argument for a non-Pauline authorship of the pastoral epistles than what I have given here. Of course you are welcome to highlight specific details of the arguments that you think I have treated simplistically if you believe that I have misrepresented them, but it appears you don’t do so. Sorry, but I respectfully dismiss your reference to “rhetoric” as rhetoric itself, the sort of thing I do not welcome. That needlessly escalates potentially worthwhile discussions. If you have serious criticisms, they are welcome. I am not interested in being told that something is rhetoric. Let’s see what is wrong with it. As for apologetic value, there is nothing for me to “pretend,” Eric, and I wish you hadn’t tried to drag my honesty into it. Stay with the evidence. As I was clear, I do not need Luke to be early. If you don’t believe me or believe that I am nefariously motivated, I can only say that I find that wholly unreasonable. If what I’m saying suits apologists, then good for them, but it seems pretty fallacious to cast doubt on the argument just because people make mileage from it. I explained why I don’t need Luke’s Gospel to be pre-70. As I have said in the podcast when I spoke about preterism, Luke’s change in wording of the Olivet discourse counts in favour of a post-70 composition, although of course not decisively, and that does not seem to me to be anywhere near as decisive as the fact that Paul quoted the Gospel of Luke before he died. Lastly, Eric, your dismissal of the use of amanuensis seems clearly wrongheaded. If Paul is an aged man at this point – which he would have been – enduring a difficult imprisonment and expressly expecting his own death soon, then there is nothing at all strange about being assisted by an amanuensis in writing a letter to an individual. There is nothing anachronistic about it. Some believe that Luke himself was the amanuensis (although I have not investigated that at all). The precise mechanism for how the letters were penned could have taken a variety of forms based on how Paul related to his amanuensis, but certainly you offer no consideration to make me think the practice would have been unlikely. I’m sorry you think “Luke becoming cited as ‘scripture’ so quickly is undefended.” This is a clear overstatement. Case in point – I have offered just such a defence here, and simply calling it “rhetoric,” accusing me of oversimplifying arguments but never saying how or which ones, if any, I have misrepresented, and making assertions about what isn’t plausible regarding amanuensis when there’s no obvious reason to justify the assertions – I really do think you might want to offer a more modest claim, or else a better defended one, Eric. If you’re going to call the claim undefended, you owe me a better explanation of what is wrong with the defence I have offered. Eric, can you clearly tell me what is wrong with my response to the arguments against Pauline authorship of the pastoral epistles? Because if those arguments are no good, it looks like we do in fact have a Pauline quote from Luke’s Gospel here. Right? Eric, some good points, but doesn’t it puzzle you, since you mention Luke changing Mark, that Mathew (dated around the same time as Luke) changes “after that distress” (the destruction of Jerusalem), to “immediately after that distress”? Referring apparently to the second coming? That’s odd on the conventional assumptions (1) that Mathew and Luke were written in the 80s and (2) the first Christians expected Jesus to return bodily after the destruction of Jerusalem. I nonetheless assume an 80s date for Luke/Mathew myself on the basis that I date Mark to the 60s and I think Mark would have gone the way of the lost document Q without a two decade head start as almost all of Mark is found in Mathew or Luke. Still, I shall examine the case for an earlier date for Mark. Here’s another theory. Paul was quoting Q, the collection of sayings of Jesus in the Hebrew language produced by Mathew Levi, according to the fathers. Paul regarded Q as scripture. Q wasn’t included in the canon because most or all was included in either Mathew or Luke. Since Paul had quoted the saying you highlight, his companion Luke made sure to include it in his Gospe. Giles, the existence of an actual Q document is obviously far more contestable than the existence of the Gospel of Luke (which is not contestable at all). What is more, Paul used the word “Scripture” only once in this paragraph, saying that the “Scripture” says two things, and he then quoted from Deuteronomy… and then from this written document. If Luke existed then we can readily understand it being called Scripture. But Paul would not have called Q Scripture, even if it existed. Would he? It would certainly be the sole exception in Paul’s appeals to graphe throughout all of his epistles. I’m not 100% sure. I dont see why not if Q was by Mathew Levi. He was one of the twelve, Luke wasn’t. But I am just exploring alternatives. My latest theory is Q was written in 61 AD when Peter and Paul were at Rom. Mark wrote up the notes of Peter’s lectures when Peter departed Rome at the end of his first visit, say late 61 or early 62. A first edition went to Paul who also had a copy of Q which he translated for Luke. Luke immediately produced a longer Gospel using Mark, Q and at least one other source. Another copy of Mark went to Mathew Levi, who translated it into Hebrew,embellishing it from his own Q and his recollections. Thus Mark C61, Luke C62 and Mathew C63. Paul quoted Luke as scripture C66 and died C67. Mark survived because of the prestige of Peter’s name and because a briefer Gospel was more portable, less costly to reproduce and better suited for lending to those interested but not yet converted. That reconciles our theories. Glenn, you didn’t mention Origen’s testimony that Luke’s Gospel was the one commended by Paul. Perhaps the commendation he spoke of was Paul citing it as scripture? I’m okay with the “most scholars agree” argument because I’m not a scholar, and I often have no choice but to rely on the findings of others. If we couldn’t rely on the research of others, we’d all have to start from scratch. I think “most scholars agree” is a good basis for a non-expert such as myself to affirm a point of view. Not that it can’t be over-turned with evidence to the contrary, but in cases where I haven’t done the research myself or can’t follow the arguments, it seems a good enough basis. Well, I have cause for scepticism. I co wrote a book. A friend said he liked it but thought there was too much tesion between the two author’s voices. He then cited two chapters, both of which I had written, but using distinctively different styles to reflect a difference in subject matter. The same kind of analysis that proves Paul didn’t write Timothy would prove I didn’t write my own work! I still can not put that much weight on the argument that Paul quoted from Luke. We know that Luke drew from other written sources, some perhaps from Mark and other oral sources. There also may have been written text that Luke may have been drawing from. If there were written text, then Paul could be referring to another text that was well known, not necessarily Luke. In other words, it’s possible that both were drawing from another source. That’s why saying that Paul was quoting from something Luke wrote is not too compelling for me. Thoughts? Jonathan, my only reservation about that is that if there were an earlier source that both Paul and Luke were drawing from, it would have to have been a written source since Paul called it “graphe,” and since Paul equated it with old testament scripture, I don’t think it’s likely that it would’ve disappeared. If Paul considered it Scripture, we would probably still have it because it would’ve been preserved. That is not to say that I’m totally convinced by Glenn’s view. I think it’s possible Paul was quoting from Luke. I’m not totally persuaded of it, though. We know from Paul’s letters that there were letters he wrote not preserved (can’t remember the quote proving this, Glenn may know) Presumably they were considered inspired but not preserved because they cover the same ground others cover in greater depth. So a document by Mathew Levi (Q) could have been accounted inspired but not preserved (as it was included in Mathew and Luke). I am now persuaded of Glenn’s theory but just playing Devil’s advocate. Jonathan, it looks to me as though you are preferring less probable explanations to more probable ones. You say, for example, that you know Paul drew on other sources. Let’s grant this – but what were they? Were there written sources that contained this saying? Well, we don’t know of any. O f course we can’t say there were none, but we definitely know that Luke’s Gospel contains it. So why prefer a hypothetical written source that we know nothing about, over a source that we all know about? And yes, there were oral testimonies, but in context this couldn’t be an oral source, because it is graphe, in the same category of writings as the book of Deuteronomy. So I don’t understand the reactions that say – I think it’s unlikely, because there’s a different possible scenario that we know nothing about and have no evidence for! At least there’s evidence for what I have proposed, and at least the theory I have proposed is able to explain all the facts we have at hand. The alternatives do not have these things going for them. I think my alternative theory explains all the facts. But is less probable. As you say we don’t know there was a Q, we know there is a Luke. And Origen’s testimony supports your thesis. We don’t know there was a Q and if Q existed it never became regarded as Scripture, whereas we know Luke did. So yes, while it explains the facts, there isn’t evidence for it. Actually you have just persuaded me there is evidence against my theory. Like Paul’s lost letters Q might have been regarded as inspired but, like those letters, it was never acclaimed as scripture as you say. Thus Luke can’t have quoted Q as scripture. I know that’s what you said to me at the start, but there you are! Sometimes you have to say things twice! Thanks for the reply Glenn. To clarify my original position, I don’t think the argument for Luke’s early dating because Paul quotes a passage that is found in the book is a good one BY ITSELF. I think the other arguments for Luke’s early dating, such as it being written before Acts, and Acts not containing major historical events that were in the 60’s and 70’s , are more among the top. If you put the argument for Paul’s quote in with the other then it does up the overall argument, but I think this one piece is the weakest one. I say that because there are too many possible variables to consider. I guess the Paul’s quote argument to me is kind of like your Q argument reservations. To address the Q argument, from my understanding, Q is the collection of passages/information (whether oral or written) that show up in Luke and Matthew but not in Mark. Therefore, if Q does exist, then it did become Scripture because it was swallowed up in the writings of Luke and Matthew. We also know that Luke states in Luke 1:1, “Inasmuch as MANY have undertaken to compile a narrative of the things that have been accomplished among us…” which leads me to believe that there was more than just one written source (Mark) for his information. So while it’s true that Luke contains the passage Paul quoted, it may also be true that both were drawing from a different source (aka Q or something like Q). In other words, if it was a written source, then both Luke and Paul could have used it directly. You are right Glenn that it comes down what is most probable, and since we only have the passage in Luke which puts the quote in the larger context of Jesus’ instructions to his disciples, then it gives the argument credibility. So in this case, I agree it is more probable. But there is still that alternate explanation that weakens this particular line of reasoning, and why I don’t put so much weight on it. Hope that clarifies what I’m thinking. Jonathan, while I agree that there may be other reasons for assigning an early date to Luke’s Gospel, it still looks to me like the “too many possible variables” you refer to are actually possible scenarios that are each less likely than the thesis that Paul was quoting Luke’s Gospel. Take the Q argument that you appeal to. Is it logically possible that there did exist a document that contained this saying, and Luke and Paul both used it? Yes, that is possible, but our interest here is in probabilities. What evidence do we have of this document? We certainly know that Luke exists, but we don’t know that this hypothetical piece of writing containing this quote existed. And we then have the problem that Paul put it in the same category as Deuteronomy. We know, of course, that Luke’s Gospel at some point did enter that category – Holy Scripture. But we just don’t have evidence that this hypothetical source was ever in that category. So while I acknowledge the theoretical possibility of other scenarios, we should prefer more likely scenarios to less likely ones, and here is where the thesis that Paul is quoting Luke seems to win easily over these other possibilities. I’m just reiterating these things because I think that the “too many other variables” worry is fairly well addressed, and there really isn’t a good reason to not affirm that Paul quoted Luke’s Gospel. It looks like we agree about what is more probable. My overall thesis is that Luke was early, but the conclusion I’m really gunning for in this article is that Paul quoted Luke. If it’s the most probable explanation of the facts, then that’s as much as we can ask (naturally I could never prove with 100% certainty that Paul did this). The statement (in the comment to Giles above): “the existence of an actual Q document is obviously far more contestable than the existence of the Gospel of Luke” doesn’t seem to adequately capture the whole situation imo. Although the basic statement is essentially true (and I really don’t know one way or the other if a hypothetical Q document ever existed), that statement doesn’t seem to factor in that the autographs of neither Luke-Acts nor the Pauline letters are available either. The article might have been more persuasive (again just imo) if a strong case against a potential second century date for “canonical Luke” had also been presented in addition to a noted overlap with a single small phrase occurring in two writings in their canonical form. Admittedly a 2nd century date for Luke-Acts represents a minority view, however it has been scholarly and convincingly well argued for in for example, J. Tyson’s Marcion and Luke-Acts: A Defining Struggle (and references cited therein). Just a suggestion from an opinionated drive-by reader, but hey your last line in the op invited comments. 4) The Pastorals do not inhabit the world the undisputed Paulines. In the Pastorals, assertion replaces argument. Paul was careful to always work back to first principles, engaging his readers and opponents with highly refined scriptural argumentation. It is hard to believe that the Pastorals are from an author of Paul’s intelligence, to put it crudely. 5) The vocabulary argument is not decisive, but the presence of Latinisms in the Pastorals (and not in the undisputed Paulines) is striking. To this reader, the fact that 1 Tim likely quotes Luke is corroborating evidence of its relative late date, i.e., it is probably pseudepigraphal. As far as Paul’s knowledge of Luke is concerned, it stretches credulity to think it can be based on this one verse. There is no evidence that Paul believed the temple would be destroyed, or that Paul knew or drew on other traditions in Luke’s gospel. His recitation of the eyewitnesses of the resurrection in 1 Cor 15 certainly does not line up with Luke’s resurrection accounts. If Paul knew Luke, there is a lot we might expect to find that is nowhere in his epistles. In fact the undisputed Paul’s references to gospel traditions either use the technical language of oral transmission (“what I received I delivered,” 1 Cor 11), and are nowhere else regarded as belonging to WRITTEN text–something we should surely expect if indeed Paul wrote 1 Timothy and quoted Luke as written text. David, the document not only says that it was written by Paul, but it narrates events that make it clear that the writer is passing himself off as Paul. So it’s not going to be honest pseudepigrapha. If it wasn’t Paul, it was wilful deception. And there are no good arguments for this being the case, so the default stance should be that Paul wrote it. Unless there is evidence that this wasn’t written by Paul, we should take it at face value. You do suggest some evidence in 4) and 5), but those are arguments that I address in this blog post. So it just sounds like I’m being told that I only accept the Pauline authorship of the pastoral epistles because they claim to have been written by Paul (and were regarded early on as having been written by Paul), and I’m able to rebut the arguments that the author’s claim is false. But that’s inadequate, because I haven’t proven that Paul wrote them. Your summary of my comment is accurate, though I wouldn’t expect to “prove that Paul wrote them,” just as I can’t “prove” that they are pseudepigraphical. All we can do is assess historical probabilities and make a judgment. Since we know pseudepigrapha were produced, the attribution to Paul and attempted verisimilitude does not help very much. What we need is more positive argumentation. If Paul is the author, why? If not, why? I am not sure that the category “honest pseudepigrapha” is very helpful. Strictly speaking, no pseudepigrapha is “honest,” but that does not mean it was not very tempting to early Christians. And–this is the important point–by the time books were recognized/received as canonical, the church would have had no practical way of assessing the validity of the authorship claims. They were received based on their conformity to apostolic teaching. It doesn’t seem to follow that since we know pseudepigrapha existed, we can’t attach much weight to the authorship claimed in the letters themselves. Or at least it doesn’t follow by any logical method I can recognise. We still need evidence that this is a case of deceptive pseudepigrapha (which is what it would have been, if it was pseudepigrapha at all). This is the only way we know about pseudepigrapha at all – because we know of examples where the evidence indicates that the named author did not or could not have written it. The notion of “honest” pseudepigrapha is actually quite a meaningful one. Some pseudepigrapha was written in the understanding that it would not generally be believed to have been written by the person named in it. In this sense there is no intention to lie to people. By contrast, the sort of deceptive pseudepigrapha that I am talking about is written in such a way as to attempt to persuade the reader that a particular person wrote it when they did not. You’re second point undermines your argument doesn’t it? If the production of pseudepigrapha was starting in Paul’s time or even later whenever 2nd Thessalonians was being written and Paul or whoever wrote 2nd Thessalonians was aware of it and was trying to warn against it- wouldn’t that have made the church more wary of letters that they received that were supposed to be from the apostles? built a more skeptical climate in the receiving of supposed apostolic methods? and hence less likely to accept suspicious pseudepigraphical letters like the pastorals? There probably was a suspicious climate in the receiving of epistles. We have many “apostolic” writings that were not accepted. 2 Peter was contested well into the fourth century. In the second century, it was probably rejected by more churches than it was received by. But a well-written letter doesn’t need universal acceptance, it just needs to hang around long enough. Imagine you are a traveler to Asia Minor in the 3rd century and you come across a church that has a letter of Peter that you have not heard (2nd Peter). Perhaps you are suspicious, but at this point, how can you test the claim? The only practical method was conformity to apostolic teaching. And so letters like 1 Timothy and 2 Peter–which were very useful, in terms of (a) providing regulations regarding church structure, and (b) clearly affirming Christ’s return–found a place in the canon. 1) “It doesn’t seem to follow that since we know pseudepigrapha existed, we can’t attach much weight to the authorship claimed in the letters themselves.” I think this is precisely what follows. You are saying we would also need some external evidence, but often the judgment that a work is pseudepigraphical proceeds from internal considerations (e.g. Deuteronomy as a book of “Moses,” Daniel). 2) What are you appealing to as an “honest pseudepigraph,” and how can you tell? I’d appreciate an example. David, I still see nothing to grab hold of and argue with. 1) “I think this is precisely what follows.” Again, no. Not according to any logical form I know of. Can you spell out the logic: Really explicitly, everything shown? This would seem to be your central argument, but it just looks like one sentence after another, without a logical relationship between them. Please: make the logic completely explicit in the form in which you present the argument so that i can see how the inference is supposed to work. 2) By honest pseudepigrapha, I mean no more than a case of pseudepigrapha where deception is not intended. It would be a pointless side-track for me to even entertain whether or not that term should be used (I am fine with it). The point is just that if 1 Timothy is pseudepigrapha, it was a lie (i.e. deliberate deception). We seem to agree on that, so I want to focus on your argument, as that seems to me to be nonexistent. As for 3), you appear to be talking as though there is a collection of pieces of good evidence to which you are appealing. If you are going to do this, you’ll need to reveal those pieces of evidence, otherwise I cannot tell how good your case is. At the moment I am helpless to evaluate it, so I have to reject it. The omission of Cleopas in a different book isn’t particularly compelling. It’s easy to omit things – especially an obscure figure like Cleopas, who is mentioned nowhere else in the NT and would have had no important to Paul’s audience. Plus as I already indicated in this blog post (you write as though you missed it), the evidence would place the pastorals after Paul’s other letters, meaning that Paul’s awareness of Luke’s Gospels in 1 Timothy does not guarantee his awareness of it when he wrote all his other letters (but again, it is not a striking omission in any event). This is clearly nowhere near as compelling as the fact that the writer explicitly quotes something in our Scripture (in Luke’s Gospel) and says that it is already Scripture. So if you want to give the impression that there is a proverbial cloud of witnesses in favour of the claim you’re making, let’s see it out in the open. Is there a good resource you would recommend that makes the argument? 1) Genuine apostolic writings were produced in the early church. 2) Apostolic pseudepigrapha were also produced (in abundance). How are we to distinguish between (1) and (2)? 3) The attribution of the letter and any attempted verisimilitude to the author’s life (e.g., the Transfiguration in 2 Pet 1) cannot count as evidence of authenticity, precisely because the whole point of pseudepigrapha was to invoke apostolic authority. Attribution to an apostle, and verisimilitude, are essential features of pseudepigrapha. So how can the attribution to Paul serve as evidence that Paul wrote it? I don’t know if this is spelled out logically enough for you, but it is as clear as I can make it. Attribution does nothing to distinguish authentic from pseudepigraphal epistles. We still have options (1) and (2) on the table. It is based on this sort of comprehensive analysis–asking the question “how can I best understand this text and its concerns?”–that I would conclude that 1 Tim is probably pseudepigraphal. The judgment is not based merely on the (negative) arguments you discussed in the blog post (vocabulary, etc), but on a positive exegesis–an attempt to understand 1 Tim and fit in within our overall picture of Christian origins. That said, I grant that 1 Tim is a highly debatable case, and that scholars of good will are on both sides. And I don’t claim to have certainty on the matter. Probably, my conviction that Luke is post-70 and that 1 Tim quotes Luke plays a role here as well. Luke’s fairly precise expansion of Mark 13 is to be considered here. It seems to me highly unlikely that Luke does not know of the temple’s destruction. Conversely, there is no evidence that Paul knew that Jerusalem was doomed. That is, if Luke is a product of the 50s or 60s (as your final sentence claims, though your most recent comment suggests the 60s), we have the strange scenario that Luke and the rest of the gospels have a clear description of an impending war with Rome, which Paul (knowing the gospels as he does) never mentions, even though the end of the old covenant and the internalization of the new covenant is very important to Paul. With this I’ll leave; thanks for the discussion. I was motivated to write because of your claim that what “critical scholars” say is “a whole lot of not very much based on even less.” That’s simply not a fair assessment of the rational disagreement that can be had over both the dating of NT texts and the matter of which letters may or may not be pseudepigraphal. Right, see David, this is what I mean. I asked you to make the logic explicit so we can all see that your conclusion follows (namely that we can’t attach much weight to the claimed authorship in the letter). But you’ve just added more claims to the list, without offering a demonstration that your conclusion follows. I suspect that when I say that it doesn’t follow under any logical form that I know of, I mean something rather exact, whereas you just mean that you think it’s probably true. Certainly your comments 1)-4) don’t resemble any sort of demonstration of the claim following, so I think I can rest my claim that it doesn’t follow. It is a mundane claim – ironically striking because of how mundane it is – that a document’s claim to authorship is evidence of who wrote it. If I found a letter in the street purporting to be written by John Smith, I have a reason to think that John Smith wrote it. This is all the more so if I know that John Smith is a prolific letter writer, and the letter is about the sorts of thing that John Smith writes about. Your dismissal of this sort of thing as evidence really does not make sense. But the truth is that by itself, this counts as evidence for who wrote it. Now of course I agree that you can appeal to other factors as weighing against the document’s claim to authorship, but as best I can tell there is no such good case. If you’re going to take the position that the writer is lying and the church was mistaken, you’ve got to make that case. That is not the default stance. The default stance is that the book was written by who it claims to be by, and that the church got it right. The sorts of factors you list do not supply grounds for denying what the letter says about itself – and what the early church thought, too, as soon as they started commenting on such matters. The letter is consistent with what we know about Paul’s life and consistent with practices we know were ordinary (e.g. the use of amanuensis). The only serious argument I see is that the style / manner of writing is very different, and this is not hard to explain in a manner consistent with the default stance. I know of no argument against Pauline authorship that is not addressed by George Knight, The Pastoral Epistles (New International Greek Testament Commentary). We should only affirm that the letter’s claim is false if there are good reasons for thinking so. I am quite happy with my claim that the way critical scholars dismiss Pauline authorship is “a whole lot of not very much based on even less.” Contrary to your position, I think this really is a fair summary of where things are at, and I don’t see that you’ve offered reason for reconsidering. The fact that pseudepigrapha existed (and this appears to be your whole argument) is not a good reason to think that this letter is pseudepigrapha. Honestly, when I press people for a good reason on this, all I get is the equivalent of a glare and a thump on the table, and I am assured that in fact there just is a good case that the letter’s claim is false and that is that. My request was genuine. If you really know of a good case, in all seriousness, link to it or let readers know where to find it. I have become surprised at how easily some purportedly critical scholars are impressed with paper-thin arguments. This is why now I always ask for a good source, to see if there’s a good argument I haven’t seen yet. I cannot recommend Robinson’s book highly enough. The “critical” approach is almost worthy of outright mockery for how poorly defended it is. Its good that you acknowledge that the early Church weren’t just accepting epistles because they were apostolic. Clearly the early church had standards that they used to differentiate authentic scripture from passages that weren’t. Im not sure that your point about 2nd Peter stands though for two reasons: it would seem to suggest (correct me if im wrong) that 2nd Peter was “contested” until the 4th century and made it in because of its “tenacity” the fact that it was apostolic and the fact that it was orthodox, but we have no evidence that it was ever “contested” certainly there were doubts about it and the external evidence is weaker than for other epistles, but that was because of all the Gnostic works that would have been attributed to Peter- so the early Church would have had to be careful. From the way that it was described by Origen and Eusebius, it seems to be accepted by most, but doubted by some, and Eusebius doesn’t place it among the “spurious books”. David please stop lying and pretending to be someone your not. After all you use the name David in here, but seeing the convention of fake names exists on the internet I am going to have to assume you are a liar, I have no proof independent proof you are David. In fact the same is true of most books on my book shelf, they claim to be written by people with certain names. However we know that today there exists books which people write under fake names. So I will have to assume they are all fakes until proven otherwise. You can be sure I am using my real name, because I gain no advantage from the name I am using. If I was posting as Pope Francis, you would probably suspect pseudepigrapha. And that’s an accurate analogy to the use of apostolic authority in antiquity. Also, if I was posting as Pope Francis, Glenn would not think much of the evidentiary value of attribution. That is because there would be a good argument against Papal authorship – unlike in the present scenario where there is not a strong argument against Pauline authorship. I think it unlikely that Pope Francis would comment on my blog (given the life he leads), an unlikelihood that – absent any other evidence – outweighs the evidence provided by the testimony of your comment. The fact that you are trying (although as I said, not persuasively in my view) for pseudonyminity would also give me a reason to be suspicious. These sorts of things cannot be said of whether or not Paul wrote letters giving pastoral guidance addressing the issues that the pastoral letters address. Also related comment: Actually there are plenty of people who use names other than their own – but also not famous names (i.e. just non-genuine) – when they comment at blogs, even when they do not have strong privacy concerns. I don’t know why. Similarly, some good authors use pen names. David there is a book on my shelf by a guy called C S Lewis. Given, Lewis’s reputation as an author any one who wants there books to sell and be read would benefit if they wrote a book under that name. So presumably I should assume his novels are fake until proven otherwise. What your essentially doing here is reasoning from a X would benefit from dishonest action Y, to therefore X did Y. That’s the kind of reasoning we correctly dismiss in conspiracy theories. I don’t know of any use of the Pastorals by Ignatius. Some scholars mention a similarity in phraseology, but that is a very weak argument. It seems the earliest use of the Pastorals comes in the second quarter of the second century, by Polycarp. So, it appears to me that we have some significant evidence against the authenticity of the Pastorals. First, the argument from language is quite strong, and convincing to most scholars who read the Greek. It is true that the argument is not decisive, due to the secretary hypothesis, but it is nevertheless weighty. Second, the argument from silence of external sources is also pretty strong. We have Marcion, P46, and the general silence of Christian writings on the Pastorals before Polycarp. You object to adding Marcion to this list, but it’s not clear that Marcion would have disapproved of the Pastorals’ content, and moreover, as you say, Marcion had no problem excising lines he didn’t like, rather than pitching an entire document. Finally, what David has mentioned already, and what I don’t understand why it is so controversial, is that forgeries and other false attributions were rampant in the early Christian communities. I wouldn’t be surprised if forgery was the rule rather than the exception. Glenn says that there is no logical rule that gets us from the popularity of Apostolic forgery to the inauthenticity of the Pastorals, but that’s an odd observation to make. (For instance, there is neither any logical rule that gets us from the author’s claims that he is Paul to the epistles’ authenticity.) It seems obvious to me that the popularity of forgery in the early Christian communities makes it more likely that the Pastoral Epistles are forgeries. This is, in my mind, the primary reason for doubting the authenticity of *any* NT document. So, these are three very strong reasons to doubt that Paul wrote the Pastorals. Even together, they are not decisive. However, they are powerful evidences, and persuasive to me. But let’s look at your arguments against authenticity. First you use the argument from language. It’s not enough to declare that it is strong. In this blog post I have addressed that argument, showing that there is an absolutely adequate reply to it (the appeal to both an amanuensis and to the different type of audience). The explanation is plausible and would be completely adequate. You do not appear to have raised any objections this reply. So you can’t just declare the argument strong. You say that it is convincing to most scholars, but I do not regard that to be a response to the argument I gave in this blog post. So I don’t think there’s anything all that convincing here. You then cite Marcion as early evidence, asserting that Marcion wouldn’t have had a reason to object to them. Why not? As I noted, Falconer offered examples that Marcion would plausibly have objected to. So you can’t just say that he wouldn’t have. We know for a fact that Marcion’s canon was smaller than it should have been. So thus far I don’t think your argument against authenticity introduces anything that hasn’t already been covered. Lastly you say that there existed forgeries, ergo we should think that *these* letters were forgeries. But this argument is formally invalid. The conclusion does not follow. As you point out, this gives us a reason to doubt the authorship of every NT book – and you do not go far enough! This method gives us a reason to doubt the authorship of every ancient book said to be written by a well-known person. You would need some specific evidence that these letters are among the forgeries that existed. This is what you have attempted to offer with your first two arguments, but they are far from being “very strong,” as you describe them. In light of the easy responses that are available, they appear weak. Plus, you’ve just subtracted the evidence from Ignatius, which you can’t do on a whim. These sorts of arguments would not pass muster in other contexts. Neither, for that matter, would your implied argument from silence, namely the assumption that until someone states in writing that Paul was the author of the pastorals, we should assume that the view wasn’t held. This argument has nothing to commend itself to us. Yes, I have looked at the Ignatius connection, although it has been many years. I recall being unimpressed, but not the details. So, if you have a good argument, then you are welcome to present it. Now let me ask, do you at least agree that there is a marked difference in language which shows that something is very different about the Pastorals? As Sam Harper pointed out, it is appropriate to appeal to scholarly opinion to emphasize that. So the next question is, how do we explain it? I don’t think a different audience changes a person’s writing style. That leaves us with two outstanding explanations: a secretary, or forgery. In my opinion, the second is more likely. But even if you disagree with the strength of the evidence, surely you must recognize that this is *some* significant reason to doubt the PE’s authenticity. 6:20 O Timothy, guard the deposit entrusted to you. Avoid the irreverent babble and contradictions [antitheses] of what is falsely called ‘knowledge,’ [gnosis] 6:21 for by professing it some have swerved from the faith. Recall that Marcion was part of the Gnostic movement, and his book was called The Antitheses! This line, Marcion very probably would have objected to, and indeed it seems aimed squarely at his heresy. This represents a fourth line of evidence against authenticity, since Marcion was active long after Paul died. But if this is all just a coincidence—written by Paul decades before it would have been most relevant—then Marcion could have simply removed that line from 2 Tim, as he removed lines from Luke, and possibly from the other Pauline epistles. Or, he could have let it remain, reading it instead as support for his own ideas about the OT, and reading the line about Scripture as referring to the *new* Scriptures in his canon. In fact, we just don’t know how Marcion would have dealt with these passages. And while I agree they significantly weaken the argument from Marcion’s silence, there is too much uncertainty for them to undercut it entirely. Let’s also not forget that we haven’t yet discussed anything (here I am speaking of us bloggers) that would explain Marcion’s exclusion of Titus. So, in my opinion, this is still a significant evidence against authenticity. Also, I agree—and said before, so I’m not sure why you keep bringing it up—that there is no deductive logical rule getting us from the popularity of forgery to the inauthenticity of the PE’s. Instead, I simply pointed out that it makes inauthenticity *more likely* (and not, lest you object again, as a consequence of any deductive inference). But I am *not* saying that this is enough, by itself, to get us to reject authenticity. So, to summarize, in support of forgery, we have the marked differences in language, the argument from silence of the earliest Patristics, Marcion, and P46, the general popularity of forgery in early Christian communities, and the thinly veiled reference to Marcion’s sect in 2 Tim 6:20-21. A different audience doesn’t change someone’s writing style? So you write an e-mail to a friend in the same writing style as you do to a potential employer? You use the same tone? The same vocabulary? I definitely use the same basic vocabulary, yes, with very few words or phrases needing to be changed from audience to audience. Nevertheless, perhaps I should qualify my statement above. There are, I agree, certain elements of my writing which will differ, depending on the audience. So, for instance, I’m sure as heck not going to talk about religion or politics to my students, whereas I frequently do so with other people. But we are concerned about a change of vocabulary. And this does not change dramatically, that I can tell, from audience to audience. Ben, so is it your position that, I write sermons to my congregation with the same style and vocabulary as I would when I present a formal academic paper. After all in both cases the subject matter is theology so I address them the same? That seems absurd. This is the sort of comment that makes bible scholars look very bad, arguments from silence are fallacious, this is because they are invalid. In fact the phrase “argument from silence” is a term used to describe a class of fallacious arguments of the form. You don’t make a fallacious by prefacing it with “this is strong”. Its also not clear to me how this argument can be strong but not “decisive” given other arguments. Because those other arguments refute the original argument. If you offer an argument for A from B and I show that A is not a justified inference from B, you dont get to respond by saying. Oh well I guess its not decisive but its still strong. If it doesnt follow its invalid period. Please see my comment above, about the two chapters I wrote in the same book confidently attributed to different authors by a close friend. Both vocabulary and style were deliberately varied to reflect a difference in perspective. I think there are some plausible arguments against Pauline authorship of the pastorals, but the stylistic one I find unconvincing. Clearly, these are not deductive arguments. So, I don’t see how it helps to say that they are deductively invalid. Instead, we are looking at evidence which can point in various directions, sometimes strongly and sometimes weakly. And yes, I would definitely expect your sermons to contain similar vocabulary to your academic papers, just like my informal emails contain similar vocabulary to my academic papers. I don’t know about you and it might be different for a sceptic, but when dealing with religious topics such as is the Case of the pastoral letters, a clear change in vocabulary is expected, when I’m discussing theology with someone who is knowledgeable as opposed to my siblings I’m going to use far more theological jargon and not mention critical issues as opposed to if I’m discussing with someone who is familiar with such issues, as dr flannagan demonstrated above with the difference of a sermon and an academic paper. Peoples vocabulary often change drastically according to audience and this applies here, go on a notable Christians website and compare the style they use when addressing pastoral issues to Christians and when they are discussing scholar ly issues, they are very different. There are so many factors that would affect Paul’s writing style and vocabulary: the fact that Paul is speaking to friends who are leaders of the church and has an entirely different purpose from his other letters. I haven’t noticed any change in basic vocabulary from audience to audience by myself or any other writer. Perhaps a concrete example is in order. I should add, it’s not clear what sort of change in vocabulary might be expected to change. A private correspondence might elicit a more informal tone, but it’s hard to see how that would lead to a change in the very words being used. Moreover, looking at the English translations, I haven’t noticed any informality in the Pastorals compared to the non-Pastorals, except maybe his silly pun about using the Law lawfully. But notice that his decision to make a joke doesn’t require him to use a dramatically different vocabulary! By the way, I was reading Tertullian’s [i]Against Marcion[/i] just now (book V), and he reports that—as I had guessed—Marcion did indeed tamper with the text of the Pauline epistles. According to Tertullian, the epistle to Philemon was the only one that Marcion did not change. So, when trying to explain why Marcion would reject the Pastorals, we must also explain why he did not simply strike the parts he didn’t like, or add lines to interpret them favorably to his views. That he regarded them as spurious would do the trick, whereas Falconer’s hypothesis would not. And let me just repeat that we still have P46, as well as—I had forgotten until now—Basilides, who also rejected them. Ok, guys, you have to admit these are good arguments, though the argument from style is the weakest IMO given that it “proves” I didn’t write two chapters I know I authored. But I think Glenn and others should concede these are far from weightless points. 1 “Paul” writes what is a general proverbial saying about fair pay, without any mention of scripture. 2. “Luke” uses the same phrase, either because it is still in common usage or because he read it in “Paul” or even because he heard “Paul” use it in real life and liked it. 3. Later annotator to “Paul” notes “as in scripture” in the margin to mark what he thinks is a cross-reference from “Paul” to “Luke”, since that’s his pre-conceived notion of the order of the writing, for any number of reasons. 4. Later copyist puts note into text. There’s no “smuggling” as such, and nobody has to be actively trying to fool anyone and the question of who actually wrote what – Paul, Luke, Macion – isn’t really important. “Nothing important stands or falls on the question of whether or not a Gospel was written in the 50s, 60s or 80s.” Actually Glenn, since Jerusalem (including the temple) was destroyed in 70 AD at the hands of the Romans, if the gospels were written after this event, it would greatly affect the reliability of this passage; Luke 21:6, where Jesus Himself foretells it. Love your work though, keep it up! The author of the third gospel specifically *tells* us he is compiling other works together. In that context it’s hard to see how something appearing in there and in one of those works proves that “Luke” is earlier regardless of whether you’re a believer or not. The Gospels were each compiled from sources, yes. Are you now making the argument that perhaps the Gospel of Luke was quoting Paul? Come now…. With respect. you don’t seen to do a lot of read outside the Bible or you would know the 2 source hypothesis or the relationship between the Synoptic gospels or the good news. The consensus between biblical scholars (of both Protestant and Catholic) as I have already stated say that 1 Timothy as well as others are not of Paul hand. As they are seen as unauthentic epistles. So to trying and push the gospel Luke (anonymous Greek author) to the front of the queue is so biblical scholarship unhistorical. The Fact is that Mark is seen as the first of the canonical gospels and the first synoptic (relating to each other) gospels. As Matthew contains more than 45% of Mark and Luke contains more than 40% of Mark. Whereas Luke gospel contains 35% unique to Luke and Matthew contains only 20% unique to Matthew the rest in both are from “Q” or the Quelle manuscript. How ridiculous to assume that I am unaware of the two source hypothesis and its alternatives. It honestly sounds like you’re gaining all of your knowledge of this issue via Google immediately before commenting. I’ve been duped into spending time replying to your comments. That duping ends now. “Come now” isn’t an explanation never mind an argument. The author of Luke makes a clear statement that he is laying out the (perfect!) result of his investigations into accounts by eyewitnesses (of which he is not one). What is your method for determining when he’s quoting and when he’s not? My point is that it’s hard to know. Obviously, if the author of Luke came later (which is what he says) then it’s unlikely that a genuine letter of Paul would quote him. Unless Paul isn’t one of those “eyewitnesses”. Thomas, the theory I was asking about and dismissing with those words was the theory that Luke might have been quoting St Paul. I am not obligated to seriously entertain and lay out arguments for and against a theory that sounds like it was made up on the spot. The author of Luke “says” that he wrote later than Paul? Where? See my comment to Glenn dated October 21, 2018 at 12:40 am. There is no way that the gospel of Luke can supersede that of Mark. You must remember that church forgeries were rife within Christianity. Or other claiming to be a disciple still a forgery, but the term pseudepigrapha is used in its stead. The canonical gospel and the NT as we know it today did not come together before 367 CE and that is a fact. One of the earliest gospels is that of the Gospel of Thomas, which some scholars have the earliest dating for the first publication parts as 40 CE. Yet, because Catholicism won the race to be the dominant Christian sect, it chose what we know as the canonical gospels. In fact, Theodoret states that there were over 200 different gospels in his day. The author’s post is lame and inaccurate to academic biblical scholarship. He bases his blog that Paul quote Luke from 1 Timothy, well 1 and 2 Timothy are known forgeries and are not part of the authoritative Pauline epistles. Not forgetting that Paul was a semi-illiterate peasant tentmaker who employed an amanuensis to do his writings. Scholar state that the pastoral epistles were written several decades after the fact. Jeremiah, are you referring to Saul of Tarsus, who was trained under Gamaliel? Or do you have some other person in mind? I’m confident you haven’t invested so much as one hour investigating the claims of scholars who assert with confidence that St Paul didn’t write any of the Pastoral Epistles. So you agree that your earlier comment was false, then. He was not illiterate, since Saul of Tarsus was trained under Gamaliel. No, I still stand by my comment that Paul was a semi-illiterate tentmaker as well as being probably half blind and suffering from epilepsy and a false prophet as the followers of Jesus stated. I cite Roman 16:22 that Paul was illiterate. I cite Galatians 6:11 on Paul’s poor sight. I cite on his Epilepsy: Acts 22:17 and Acts 9. Just as a really quick sample of the quality of your evidence, Jero, you cite Roman 16:22 as evidence that Paul was illiterate (poor eyesight and epilepsy are irrelevant). So in other words, your evidence that Paul was illiterate was the fact that he used an amanuensis (a secretary, to whom he dictated a letter). But using an amanuensis was common for people who were quite literate. Since this fact does not offer any serious reason for thinking that Paul was illiterate, I dismiss it. This is what all of your arguments are like. This would have been impossible, had Paul been illiterate. Therefore, he was not illiterate. These arguments are just not serious (so please don’t expect further replies from me). So what do you say about Paul writing with BIG letters then? You are correct that people in the day used amanuensis, especially if they could not converse in the language being dictated. Big letters = poor eyesight, probably getting worse as he aged. Even you acknowledged that he had eyesight issues, Jero. Come on… why are you making these arguments? It’s not because they are compelling. They’re obviously not. What’s driving this? It sounds like you’re just grasping for a way to discredit St Paul. So you see I personally am not grasping for a way to discredit Paul/Simon the scholarship is doing it for me, I just believe that Paul the little man who grew into a Giant in the religion he invented, was not the man that Christian believe he is. Jero, the specific arguments you have raised, however, have been visibly terrible. There just hasn’t been any serious merit to them at all. It is absolutely not the arguments that have gotten you into this position. Say that your only driver is what “various” scholars have gone against the mainstream and said, but I really don’t buy that. Why have you latched on to this minority voice? What drew you there? I’m not going to presume to answer that for you, but it would be worth pondering. All the best. With respect, are you a biblical scholar, as your comments seem to suggest? You seem to know about the scholars I have cited and you reject everything out of hand as not being of any merit. Yet, yourself cite nought as your proof. Hello, may I comment please? I feel that Matthew 10:10 has Matthew quoting the same teaching by Jesus that Luke is quoting. They are both quoting Jesus. Matthew was a direct disciple, an Apostle. Did Luke hear the Lord personally, or is he quoting someone else (e.g. Matthew), i.e. hearsay? Could Paul be quoting what he heard verbally from researcher/compiler friend Luke, or could he (Paul) be quoting Matthew (or Peter or some other one of the Apostles) directly? Only difference that could be suggestive is that Matthew says “meat” (Gk “trophe”) whereas Luke says “hire”, and Paul again says “reward” (all kjv) but both of the latter two are translated from Gk “misthos”. None of the gospels actually claim to be written by an eye-witness. Indeed, none of them even state who wrote them – the names were invented long afterwards. Paul’s material is chronologically the earliest in the NT and even he doesn’t claim to have met the *living* Jesus either. If you believe that Jesus was real and that he was a god, then only Paul’s material is really gold-standard, as he at least had a spiritual connection with Jesus. The gospellers, especially Luke, are compilers or inventors. In the latter case they are worthless and in the former case they are sharply limited in ability to to directly quote people they never met. Paul’s material of course has its own problems due to the number of forgeries. Indeed, the “genuine Paul” material is classified as such simply on the basis of word-count. Perhaps the real Paul only wrote one or two of the letters; we’ll probably never know, any more than we can see inside that real Paul’s head and know for sure if he saw a vision or simply had a delusion caused by banging his head on the ground. The depth of the fog between us and the times we are discussing is hard to over-state. R. T. France, The Gospel Of Matthew, New International Commentary on the New Testament (Grand Rapids: Eerdmans, 2007), 15. Notice the crucial observation: There’s actually no good evidence that the attribution of the Gospels to their authors happened late. His comments apply with equal truth to the Gospel of Luke, and outdated views that we have no good evidence that the Gospel writers were witnesses have been largely rendered obsolete by Bauckham’s tome, Jesus and the Eyewitnesses. The overwhelming majority of New Testament scholars, including the overwhelming majority of Roman Catholic scholars who very much believe in the supernatural, miracles, and the bodily resurrection of Jesus, do not believe that eyewitnesses or even associates of eyewitnesses wrote ANY of the Gospels. Gary, I suspect you’ve not checked what the overwhelming majority in fact believe. But suppose you’re right. How do those who make up the overwhelming majority respond to Bauckham’s case? If your reply is that they don’t, or you don’t know, then that pretty much shows why the comment about what the majority think is kinda useless. I’ve been in the world of academic theology and biblical study long enough to know that the majority can be just wrong because they don’t properly evaluate arguments. Dismissals are never good enough if you want to persuade anyone. Rebuttals are a better way to go. Hi Glenn. Thanks for responding to my comment. Have you read Richard Bauckham’s book, “Jesus and the Eyewitnesses”? I have. Very interesting, very provocative book. Bauckham goes on to make other claims that most scholars question. One of those claims is that there are hidden literary clues within the Gospel of Mark which point to Peter as the source of this gospel. One of these alleged clues is the frequency with which the author of Mark mentions Peter in his gospel. Now, if the author referred to Thaddeus more than any other disciple, that might be a good clue as to the source, but Peter was the chief disciple. It is not surprising, therefore, that Peter is mentioned so often. Secondly, Bauckham claims that the author of Mark uses an ancient literary technique called an “inclusio”. In this technique, an ancient author would indicate the source of his material by using the name of that source as the first and last character in his story. But is Peter the first and last character mentioned in the Gospel of Mark? No. John the Baptist is the first character mentioned. Bauckham goes on to suggest other hidden literary clues in the Gospel of Mark, including the author’s choice of verb tense and other odd claims. The most shocking (and completely unsupported) claim that Bauckham makes is that the pericopes in the Gospels which contain named individuals were preserved intact and passed on to the Gospel authors by those very named persons. So for instance the story of Bartemaeus the blind man. Since Bartemaeus is mentioned in this story, Bartemaeus preserved this story and passed it on to the Gospel authors. Evidence for this claim? None! It is pure conjecture. Lastly, Bauckham addresses the issue of why the author of Mark does not tell us the source of his gospel. Bauckham claims that the reason for this is that the Gospel of Mark was written during a period of time in Palestine when the Church was being persecuted. Bauckham surmises that the author of Mark did not want to expose Peter to any danger of arrest and execution, therefore he kept his name anonymous. Evidence? None! More conjecture. Glenn: Why do you think that most Roman Catholic scholars reject the eyewitness/associate of eyewitness authorship of the Gospels? If it were only “liberal” scholars who held the view that the Gospel of Luke was written in the 80’s or 90’s, long after Paul’s death, then your argument that Paul may have quoted from the Gospel of Luke might seem reasonable. Liberal scholars may very well have a bias against the supernatural, and this bias certainly could influence their dating of the four Gospels. But the real problem for your argument is that most (if not all) Roman Catholic scholars doubt that the Gospel of Luke was written prior to Paul’s death (sometime in the mid to late 60’s). Can anyone credibly accuse Roman Catholics of having a bias against the supernatural?? I don’t think so. Conservative Protestant apologists can provide some very provocative points which may appear to support their belief that Paul quoted from Luke’s Gospel—indicating that the Gospel of Luke must have been written at least in the 60’s; and since it is near consensus scholarly opinion that Luke borrowed from Mark, then Mark must have been written even earlier; bringing the writing of the first Gospel tantalizingly close to the death and alleged resurrection of Jesus—increasing the chances that these four books contain reliable eyewitness testimony. But the fact remains that a large section of Christian scholars who very much believe in the supernatural, very much believe in the miracles of Jesus, and very much believe in the bodily resurrection of Jesus, say you are wrong! These believers in the literal, bodily, resurrection of Jesus say that your evidence does not add up. Conservative Protestants need to provide a good explanation for this fact or admit that the majority of scholars holds this position for reasons other than a bias…probably…good evidence.